"Is there really a super serious dark version of this? Yeah, I guess, but that's not Mortal Kombat to me. Just look at Kano as an example, he's a great character. He's always cracking jokes. To me, there needs to a certain levity and a fun tone. While there is violence and there are fighting and real stakes and emotional stakes for all the people involved at the end of the day it still should be fun and a sense of humor. As much as I hate to throw up the direct comparison to Marvel they're still fun and always cracking jokes but obviously, ours will be a bit more adult." Russo was then asked if he could tease which character is the entry point for audiences into this universe, to which he replied. "That's a tricky one. I'm not at liberty to completely give it away but I can say certainly that the original seven are important. I think they're important to any adaptation to this property." Russo also took to Twitter the other day to let us all know that his reboot already has a script, budget, location, director, and cast lists. But Warner Bros. has still yet to give the new movie the official go-ahead. He says he's meeting with the studio again soon and even goes so far as to let all Mortal Kombat fans know that if we want to see the franchise back on the big screen, now is the time to let our voices be heard. I'm thinking snagging a high-profile actor like Joel Edgerton will help get that greenlight a going. And speaking of Edgerton, the actor sports a name I think we're all familiar with at this point in time. But for the few peeps out there that still may be unaware, let's get into some of the man's efforts in front of and behind the camera. As an actor, Edgerton is perhaps best known for his roles in films such as Netflix's Bright co-starring Will Smith, It Comes at Night, and as young Uncle Owen in George Lucas's Star Wars: Episode III - Revenge of the Sith. But Edgerton isn't just another pretty face up on the screen. Oh, no. He is also well-versed behind the camera as well having written and directed Blumhouse's thriller The Gift co-starring Jason Bateman and Rebecca Hall, and Boy Erased starring Lucas Hedges, Nicole Kidman, and Russell Crowe. 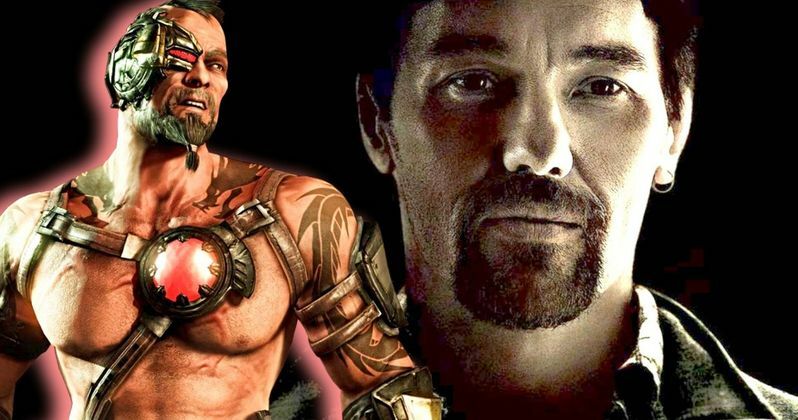 The Mortal Kombat reboot will supposedly center around a washed-up boxer (Cole Turner) who must join forces with a team of fighters that are locked in an eternal battle with killers from another dimension to help protect Earth and his daughter. Word on Edgerton's involvement with the upcoming live-action Mortal Kombat movie comes to us via That Hashtag Show and the interview with Greg Russo was conducted by Discussing Film.